I recently bought a '97 Mountaineer AWD. It has 185k mi. It's in great running condition. I have no idea when the last oil change was. When I check the dipstick the oil that is in there now is blacker than Wesley Snipes and is a little bit grainy. My question: Should I just change the oil and filter as normally? Or would there be a benefit to trying to flush the system, perhaps by running a couple of quarts of new oil through it before sealing her and filling her? It sounds to me like you should have 2 oil changes in your near future if you want to be cautious. One now, and one in about 1000 miles. They make an oil additive that you can use, if you feel brave enough. It's designed to loosen up the dirt and congealed goo in the oil pan and bottom of the engine. What you do is add it to your oil, then run the engine until it's warm, and then drain the oil while it's still a little warm (before the goo recongeals). I did it once on my 1994 when I was still in high school and it didn't hurt anything. In hindsight I probably wouldn't do it again, who knows what it'll loosen up. I'd just do 2 short interval oil changes. Change the oil move on. Repeat in a couple hundred/thousand miles if you're worried about it. Buy some cheap oil , add the additive that Ryan suggested. 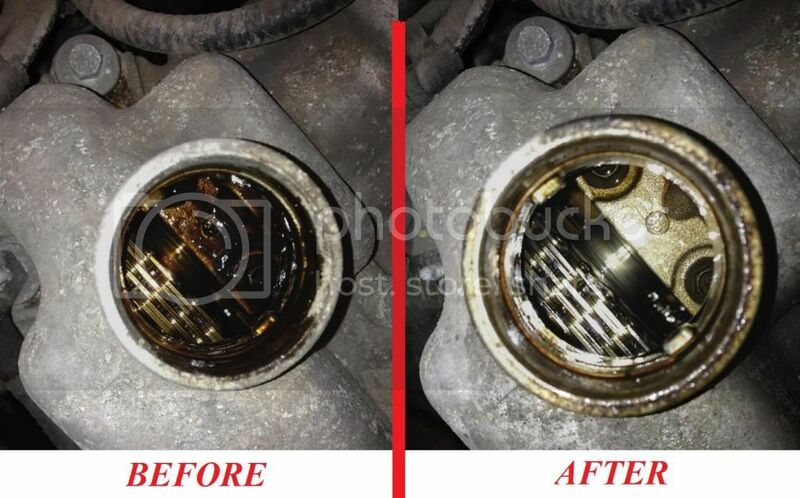 change the oil after 300 miles , using a better grade oil. I wouldn't do any kind of additive or flush. Just change the oil on short intervals a few times and you'll be good to go. you can go 2 different ways..
2. Before you change it, dump this in. run it 10-15 minutes. Change the oil with whatever you wanna run.